Acquiring a dress form is a big purchase for a seamstress. I spent several months researching and selecting one to fit my needs. While I’m certainly no expert, I wanted to share some of the information I’ve learned during the buying process. This Threads Magazine article explains the difference between dress form styles. Dress forms range widely in price, from $75 for a decorative version for displaying items on to a custom made Wolf Form (which I just found out is sadly closed as of 10/31/16) for over $700. At first, I considered an adjustable dress form like this Singer model for $99. Dials on the form let you customize key measurements like bust, waist, hips, neck, and back. If I was a seamstress who focused mainly on sewing garments from patterns, this would be a great option. 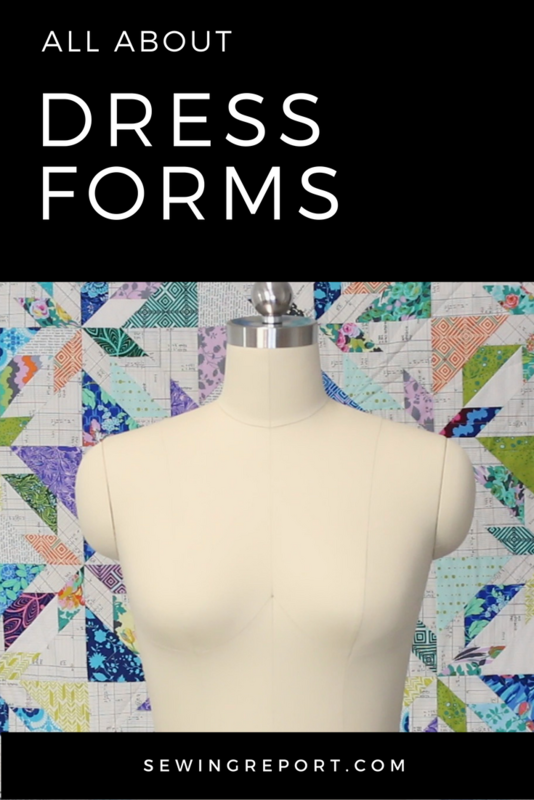 However, I do have an interest in learning how to drape and create my own dress designs without a pattern – so I wanted my dress form to be fully pinnable. So then I started perusing the more professional dress forms on Amazon. There are SO MANY different features, it’s mind blowing. Collapsible or magnetic shoulders for form-fitting clothing, metal cages for structured skirts and dresses, an offset base for pants and shorts. When going with a professional dress form, the measurements tend to be standard, but you can pick up a padding fit kit to match the form to you. After way too much agonizing, I zeroed in on a dress form I found on Amazon for $149. Note: I’ve noticed the availability of this particular dress form does tend to be spotty, but keep checking to see if it’s in stock. If you have any tips or helpful information on selecting a dress form, feel free to share your thoughts in the comments!